Classify, modify, convert and transfer your eBooks! eBook Manager 2.0.6 was available as a giveaway on May 18, 2018! Epubor eBook Manager helps manage your eBooks from different sources. It enables you to classify, modify, convert and transfer your eBooks. Make managing your ebook collections easier. 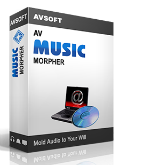 Web server and online converter included. This software includes free 1-year license. But here you can get special discount price just $29.99 (40% OFF on $49.99) to upgrade to a lifetime license. Buy now! How would you improve eBook Manager 2.0.6? The best DRM Removal and eBook Converter. Can decrypt and convert eBooks purchased from: Amazon Kindle, Kobo, Sony, Google Play, Barnes & Noble Nook, Smashwords, and even public libraries. Get it now with 40% OFF today! (only $29.99 instead of $49.99). Does not support Sony reader, no use for me. But you can add your Sony eBooks and open them with Adobe Digital Editions, then your Sony eBooks will be listed in the Adobe library. Dariusz Lata, But you can add your Sony eBooks and open them with Adobe Digital Editions, then your Sony eBooks will be listed in the Adobe library. Thank you. Only worked on converting one out of four of my purchased Nook (B&N) books. This is the second Epubor app that I've found on GoD and I'm very pleased with it. Installed on win7 pro sp1 all updates....no problems with installation and it worked on a DRMd book. Thank you . Thanks for your kindly comment, wish it helped you much and don't forget to leave your suggestions. Epubor team will do our best to improve its functions and features. Kyle, Hello, Thanks for your kindly comment, wish it helped you much and don't forget to leave your suggestions. Epubor team will do our best to improve its functions and features. Maybe next time when cooperating with Giveawayoftheday, I will provide some lifetime licenses with no updates. But in fact 89% of visitors will choose using the 1-year license at first. TK, Thanks for your comment. Maybe next time when cooperating with Giveawayoftheday, I will provide some lifetime licenses with no updates. But in fact 89% of visitors will choose using the 1-year license at first. It works!!! I have many Kindle books and like converting all my books so I can store them in a "bookshelf" folder. I have been having a problem converting some of the Kindle books through Calibre even with the new extension to convert AZW format. I keep getting the copy-write protection error. I just tried converting one of the books that Calibre couldn't and it worked. I don't like that it keeps the file name that Kindle uses instead of the name of the book, but once the book is loaded into Calibre it gets fixed. I am so happy. I can now get all my favorite Kindle books stored in my "bookcase". Velvet, do you have any particular app or software that you use for your "bookcase"? kiwiboy, just a regular folder in Windows. I have a separate folder for each author then a sub-folder for series. I have tried different software, but I have found the simplest way is just using sub-folders in Windows Explorer. I can keep different formats all together then if I want to use a different program to read the e-books, I can. I actually prefer Mobipocket Reader for reading my e-books on my computer, it uses epub format. It sorts the books better than the Kindle program. I have so many Kindle books since I do most of my reading lately on my tablet. The program at rest constantly uses one CPU to the full! Mine took forever to read-in my 600+ books Calibre library, so if you have loads of books in another library, it will take an inventory first. It did not, however, search my hard drive for epubs and mobis which I have stored elsewhere not in libraries.
. [ JardaH ], Mine took forever to read-in my 600+ books Calibre library, so if you have loads of books in another library, it will take an inventory first. It did not, however, search my hard drive for epubs and mobis which I have stored elsewhere not in libraries. .
Why would it be at "rest"
Just stop the program when you are done converting the books. No CPU usage at all. JardaH, Why would it be at "rest" Just stop the program when you are done converting the books. No CPU usage at all. Bill, The running program that waits for the selection of the converted file has no reason to exploit the cpu. If you select options, the second CPU kernel will fully load. Maybe it's not a Bitcoin miner. Bill, The running program that waits for the selection of the converted file has no reason to exploit the cpu. If you select options, the second CPU kernel will fully load. Maybe it's not a Bitcoin miner. JardaH, Nicely spotted either badly programmed or it's doing something it shouldn't. [ Conversion ], this offers to convert PDF, but PDF is a crap-shoot because there are no standards for text, for flow, and for non-text elements, so you get what you get, especially from PDFs that are pictures of text, not text. The only semi-intelligent reflow I've ever seen for PDF documents was on a Balckberry. [ Conversion ], this offers to convert PDF, but PDF is a crap-shoot because there are no standards for text, for flow, and for non-text elements, so you get what you get, especially from PDFs that are pictures of text, not text. The only semi-intelligent reflow I've ever seen for PDF documents was on a Balckberry. .
What functionality do I lose after one year license expires? Will the catalog system be restricted? The catalog system will not be restricted when the license is expired. Only the DRM-Removing function will be not available. lee, The catalog system will not be restricted when the license is expired. Only the DRM-Removing function will be not available. The one reason I DL'd this to try is for the transfer capability. It appears as if the means to do that is through the Web Server, yet although it appears to be a clickable feature, it does nothing. How do I transfer from my library to my device if not through the Web Server, and what is that feature for if it is not working? What's the difference between Manager and Ultimate? Book Guy, Ultimate removes DRM. Book Guy, Ultimate removes DRM. .
My bad -- this removed DRM just by importing into Epubor Library -- TERRIFIC! [ Iain Harrison ], this removed DRM just by importing into Epubor Library. Otherwise, Calibre has deeper, more sophisticated features and controls. [ Iain Harrison ], this removed DRM just by importing into Epubor Library. Otherwise, Calibre has deeper, more sophisticated features and controls. I have a problem. Why is the Mac version not offered as well? Epubor Angel, I have a problem. Why is the Mac version not offered as well? Carol, thank you for interesting in Epubor software. 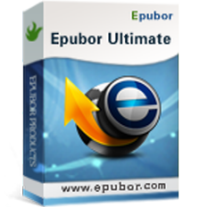 You are welcome to purchase the MAc version at Epubor official website. For now, we only schedule the Windows version. You will get the reply within 24 hours. Mike M, can you please contact Epubor customer service directly via email: support@epubor.com You will get the reply within 24 hours. If you've contacted via ticket please let me know the ticket number so that I can check it and reply to you soon. Mike M, Hello, I'm sorry for late reply as I'm taking care of my Son in hospital. About the problem you talked about of the product Epubor Audible Converter, please contact our support team support@epubor.com If you've contacted via ticket please let me know the ticket number so that I can check it and reply to you soon. Sorry for inconvenience. Sorry to hear about your son, I hope things are working out OK for you and your family. I have now twice contacted Epubor for support on this matter, both times have only been followed up with an automated response promising a support ticket to be allocated. To date, I am still waiting for this to happen. OK, so tell me what your problem is when using Audible Converter product. Mike M, OK, so tell me what your problem is when using Audible Converter product. Thank. Thank you for the offer of a discount, but I would like to know why Mac users have been prejudiced and not offered the same as Windows users. Epubor Angel, Thank you for the offer of a discount, but I would like to know why Mac users have been prejudiced and not offered the same as Windows users. Next time when Epubor partnered with Giveawayoftheday I will add the Mac version products to the following list. Thanks for your suggestion. Carol, Hello, I've added the Mac version products to the coupon list, this means now you can buy the Mac version with this provided coupon GOTD40 Next time when Epubor partnered with Giveawayoftheday I will add the Mac version products to the following list. Thanks for your suggestion. Thank you for your quick reply. One last question, what's the difference between Manager and Ultimate? Epubor Angel, Thank you for your quick reply. One last question, what's the difference between Manager and Ultimate? The Epubor Ultimate helps remove DRM and convert eBooks formats, edit metadata. The eBook Manager also have these functions as Ultimate, but what's more, Manager product also helps list your eBooks library(Kindle, Adobe, Nook, Kobo, Calibre, Epubor), transfer eBooks between devices, display 2 toolbox: Web Server and Online Converter. Our team is now working on making the Manager better, so after you used this product, don't forget to leave your suggestions. Carol, Hello, The Epubor Ultimate helps remove DRM and convert eBooks formats, edit metadata. The eBook Manager also have these functions as Ultimate, but what's more, Manager product also helps list your eBooks library(Kindle, Adobe, Nook, Kobo, Calibre, Epubor), transfer eBooks between devices, display 2 toolbox: Web Server and Online Converter. Our team is now working on making the Manager better, so after you used this product, don't forget to leave your suggestions. Thank you so much.